Therapeutic mud psoriasis eczema dermatitis musculo skeletal disorders in folk remedies. Home remedy to get rid of cellulite body wrap technique of application and technology mud applications. Availability in stock. Reasonable price. Fast delivery. Against the background of turbulent modern life, the conjugate of the global production of synthetic substances (food, pharmacological forms, clothing, hygiene products, etc..), need for natural (created by nature itself) substances is increasing steadily. The Therapeutic Mud key differences. Particularly effective in the treatment and rehabilitation of people have: Kuyalnitsk estuary, Saki lake, Shabolatsky estuary (Ukraine), Dead Sea (Israel), etc. These reservoirs have historically formed in different climatic, geologogeograficheskih, physico-chemical and biological conditions. They, in turn, depend on the composition and structure of the rocks, salinity, precipitation, of life and death of the flora and fauna of these objects and many other components. So, naturally, of the therapeutic factors in these reservoirs is significantly different. It should be noted that Shabolat more comparable to its parameters, as formed under the conditions of the northern Black Sea region and has some slight differences in the composition of mud solution, salinity ratios hydrophilic colloidal complex and the amount of trace elements. Dead Sea mud formed under more stringent conditions of high salinity (up to 307 g / L) and therefore, at about the same moisture and heat capacity, it has a very dense texture, great resistance to shear and correspondingly greater weight. Density Kuyal'nik Mud -1.3-1.5 g / cm 3, Saki mud -1.6 g / cm 3, Dead Sea mud - 1.8 g / cm 3. Is significantly different as well acidity - pH Kuyal'nitskogo peloids is 7.36, Saks - 7.39., Dead Sea mud (more acidic) -6.0. Treatment Mud of Shabolotsky estuary. However, the mud from the Dead Sea is characterized by a high content of inorganic compounds: for example, the level of bromide in it is almost five times higher. Due to the lower salinity waters in the mud of the Ukrainian deposits, unlike the Dead Sea mud, produced unique substances of organic nature - biologically active humic compounds antibiotikopodobnye, hormone-like substances, and others. When compared with each other therapeutic factors Kuyal'nitskogo Estuary and Lake Saki observed some differences - Saki mud denser, have coarse inclusion diameter of 0.25 mm (plastered) and are heterogeneous in their particle size distribution (data Saki GGRES). Therapeutic muds. Characterizing all three medical field, it must be concluded that they are all unique creations of nature and are of lasting value. Application balneology factors of these water bodies as natural remedies that are very effective in the treatment of a number of complex chronic diseases. Start mud treatment should be 30-40 minutes after a light breakfast. When the unhealthy sensations (palpitations, chest pain, blood flow to the face and head) to immediately stop the procedure and seek medical advice. Very often, wanting to "get healthier completely" coated with the entire body, which can often give is not the result, which was calculated. Firstly, you can not coat the neck and the heart! Secondly, Such common mud baths not everyone can be carried out for health reasons. Local mud baths are safer and used on problem areas: on the lower back and lower extremities, or in the form of "cowards" (the region of the buttocks, abdomen, thighs), "boot", "gloves", and so on. D.
Local mud baths used in diseases nontubercular character spine individual joints or bones, as well as a "collar" in some diseases of the nasopharynx and lymph nodes of children. 15-20 minutes at the dirt on letting it dry (as dry mud there is no sense). Then wash off the dirt brine. "Soak" in it for 15-20 minutes and go to the beach. Rinse well with fresh water (at least from a plastic bottle - do not forget to take with you on the shore of the estuary). Now, a half-hour mandatory rest. During leisure not read. It should not be used soap after the mud bath, shower gels and other detergents, as a thin film of dirt after rinsing with fresh water still remains on the skin and has a mild effect on the body during the break between treatments. Flush it, you can reduce the effect of the treatments. It should be remembered that after the course, mud therapy does not end its effects on the body. Health progressively improved, often after five to six weeks after treatment. When mud therapy expands the small blood vessels of the skin, frequent pulse and respiration increased metabolism, increased body temperature and increased sweating. During mud treatment is recommended to avoid physical stress, more rest, refuse to accept the spirits. The Therapeutical Mud application areas. Modern methods of Mud Treatment. 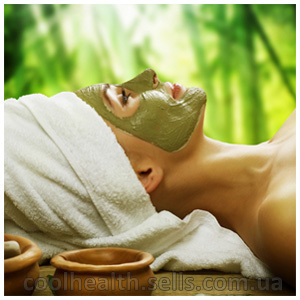 Currently, the most widespread method of mud therapy in the form of mud applications. This method does not require much dirt (as opposed, for example, from mud baths), and most importantly, easily tolerated by patients. Area mud application may be different. The Mud applications, covering the entire surface of the body except the head, are called common mud applications. Accordingly, there are mud: "cowards", "collars", "gloves", "stockings", "boots", "socks" and so on. N.
By heating temperature mud baths distinguish high temperature (46-50° C), moderate (42-44° C) mitigirovannogo character (38-40° C), the indifferent temperature, cool (34-36° C) and cold. Preparation for the procedure involves heating the required amount of dirt in the water bath, the preparation of the place for the reception procedure and place and rest. Heated to the desired temperature therapeutic mud is applied to the affected part of the body, in accordance with the directions of the doctor as a "glove", "cowards", etc. .. Therapeutic mud is applied on top of the fine a linen cloth, and then the plastic film, then place applications wrapped up warmly, if necessary, further sheltering blanket. (Hot mud - it is always a pleasant feeling). At the end of the procedure the dirt removed his hands, then wash the land application of brine diluted 1 to 5 or a warm shower water and blot dry with a towel. The estimated consumption of dirt in kg per course of 10 treatments using mud applications. Designated imposing mud application of mud Shabolatsky estuary. When applying the mud application in contact with the skin include a thin layer of medical mud. The Mud provide not only thermal effects, but also mechanical, chemical, radioactive. That is why impose mud pack should be according to the schemes. Therapeutic mud buy. Application on the area of the ear. The pathological process in the ear mud applications impose on the area of the ear. For the prevention of dirt and water in the middle ear, it is desirable to pre-ear cover with gauze, and the external auditory canal to close with a cotton swab. To keep the thermal effect of therapeutic mud applique can be covered with a thick cloth (therapeutic mud temperature 38 - 40 ° C), duration of treatment - 15 -20 minutes. To do in a day or 2 days in a row. Application to the eye area. Indications: chronic process on the eyelids, in the lacrimal ducts, the orbit (scar eversion and twisting century, fistulas and scarring in the area of the lacrimal sac and channels, deep infiltration in the orbit, chronically leaking keratitis, iridocyclitis. Therapeutic mud is applied to the gauze and put on the eyes. On top of it is placed a towel to protect the dirt from cooling. Duration of treatment for 20-30 minutes, every day, every other day, at the rate of 5-15 applications. Mud application is performed in various diseases of the ear, nose and throat (chronic allergic processes of upper respiratory tract, otitis media, mesotympanitis, laryngitis, etc.). Is also used in various dental diseases. Therapeutic mud is applied to the collar area. For this type of overlay applications, there are many indications. Applied to the lumbar region and abdomen. Has a large range of indications for use. Lumbar region and legs. Has a wide range of applications. Area of the shoulder joint and arm. Applied in various diseases of hands, arms and shoulder joints, skin lesions on the hands and others. Spans both shoulder joints and both hands. Mud pack on the joints. Is used to treat a variety of joints. May be superimposed directly on the affected joint, and the opposite.